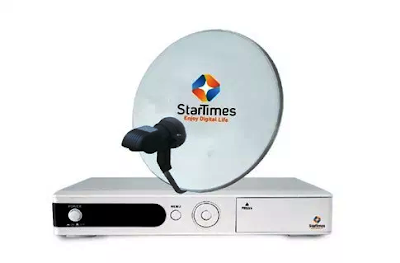 StarTimes will distribute 300 free TV decoders to Ghanaian villages. This partnership is part of the government's commitment to reducing the digital divide between rural and urban areas. The Ministry of Communications announced on September 26, 2018, the launch of the national 300-person satellite television project. It is a Chinese company owned by StarTimes. Unless unforeseen issues arise, the official announcement ceremony for the launch of the project will take place at Akweibu Elementary School in Dansoman, the first recipient village in the Greater Accra region. Chinese Ambassador to Ghana It is expected that Shi Ting Wang and Ursula Owusu-Ekuful, Minister of the Sector, will be grateful for the scheduled start on 26th September at 10:00. The partnership is part of the government's commitment to bridging the digital divide between rural and urban areas, and the 300-village satellite television project will benefit 6,000 homes in 300 villages across the country. The Ministry of Communications said it would "help our citizens receive television news on national and international events and programs that educate and inform them and increase their knowledge and knowledge to improve their well-being." Several public areas are also connected to a satellite television service consisting of a satellite dish, a high-definition decoder and accessories, while 900 public facilities are connected via a satellite television system. 32-inch television. The association of StarTimes with the Ministry of Communications as part of the 300-person satellite television project is part of China's commitment to deepen its long-standing relationship with African governments. StarTimes Group President Pang Xinxing also commented, "The Chinese government has entrusted StarTimes with the implementation of satellite TV access for 10,000 African cities, making the African continent and media development. As a result, Ghana has been selected as one of the beneficiaries. "